Every patient wants to go to the best IVF center - after all, IVF is an expensive treatment, so you want to choose the IVF center with the highest success rate, to maximise your chances of getting pregnant quickly. 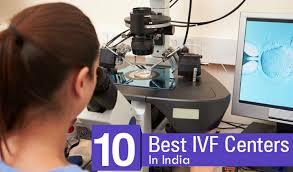 Not all IVF centers are created equal, and there is a huge difference in the success ratesÂ of the best and the others. This is because the IVF laboratory is the heart and soul of an IVF clinic, but most IVF patients have no idea about how good or bad the laboratory facilities in the IVF clinic are. Not only so the best IVF centers have state of the art equipment, they also have a lot of experience and expertise, so they can grow and culture your embryos safely, so they form top quality blastocysts in the lab before they are transferred into your uterus. This is why patients from all over the world choose Malpani Infertility Clinic for their IVF treatment. We combine high tech with high touch, because we are a boutique IVF clinic which provides highly personalised care to all our patients !